Miss Ruby Heart is a golden red King Charles spaniel, who is sadly a little ghost puppy. Her guardian is the magical longcase clock Grandfather Time. Together this unusual pair like to tell stories in rhythm and rhyme. They love reading and wish to share their joy with children, young readers and those simply young at heart. Happy Reading everyone, we hope you have been managing to get at least a few minutes of reading in today? Drop us a message in the comments below if it was something you really enjoyed and you think we should know about it. We actually did a couple of #RubyTubeDay mini book reviews over on YouTube so we will drop the links below so you can take a peek and maybe share with your book lover friends? 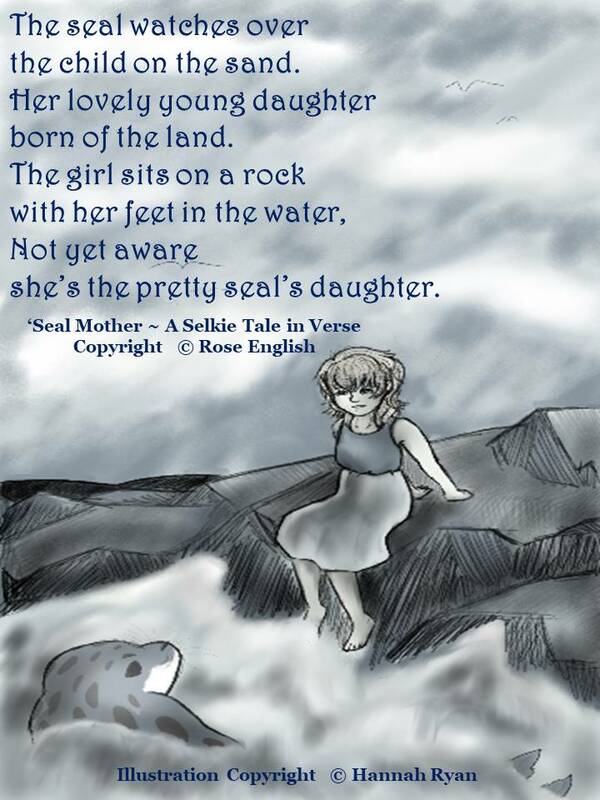 ‘Seal Mother’ – a magical Selkie tale of love, loss and deceit, told in verse. This is s bright, fun silly story about Bernard the robot who loses his bottom whilst in the park. Young readers will enjoy flicking through the pages and trying to find the bottom that is used for many different things. It is even used down on the beach. It’s a story of friendship and how everyone comes together to try and help Bernard find his bottom. A real laugh out loud story. We just added this to our TBR List after seeing it on our blogger friends page. Thanks for sharing Rainne. Hello and welcome to our first book review of the year. We have already read ten picture books. Now it is finding time to do a mini review and post it on our YouTube Channel and in our Goodreads Reading Challenge 2019. So it officially begins our little YouTube reviews, We hope you enjoy them, if you have any comments either good or bad please leave us a message in the comments below. This book caught our attention from the start. We are often looking at great books to fill the imagination of our young readers and family members. Or for those simply young at heart like ourselves. This one is overflowing with inspiration. The rhythm and rhyme flow beautifully and the illustrations of a child’s wondrous dreams simply brings the story to life. Reading at bedtime could help lull them into dream land. The words from the page could take them into a world full of fascinating places with exciting creatures. The child could themselves be the star, or maybe an intrepid explorer, they could be whoever they wanted to be. This is a story to share time after time and we already feel it is going to be one we will share often. What do you dream as you sleep through the night. If you or your book lover friends have any book recommendations (Children’s Books Only) we are happy to take a peek and maybe review one or two. Drop us a message below. Thank you for visiting. Call in again soon. Our Book Review, Scoring System. Here is the rating system explained. These books are A~MAZ~ING, real page-turners. We absolutely love these books and will read them usually more than once. Rarely will you see us give a one paw rating. But it does happen now and again. We hope this helps you understand how we review our books. Thanks for dropping by. Don’t forget to tell your book lover friends and pop back soon to see more reviews for children’s books.